Sony will shortly be releasing two incredible pocket professional digital cameras. 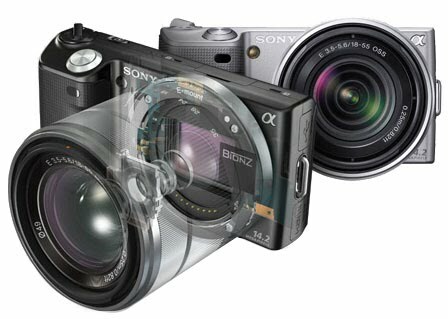 The two new digital cameras are the Sony α NEX-3 and the Sony α NEX-5. The Sony α NEX cameras have all the picture quality of a top notch comparable DSLR, yet their weight is in general about half, and, they are about half the size. Sony was able to pull off this mini miracle by some clever innovations in glass, silicon and software code. Both digital cameras will be available with a 16mm lens or an 18-55mm zoom lens. Color options will be either silver or black. 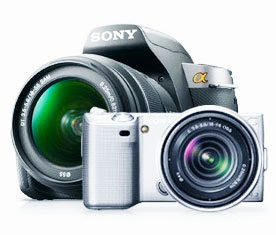 Both Sony α NEX digital camera models are equally interesting. The main differences between the two digital cameras are the high-def movie capabilities and the chassis design. The Sony α NEX-3 weighs a bit less compared to the Sony α NEX-5. 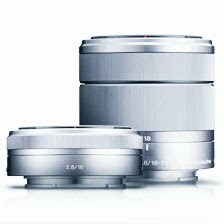 We are focusing on the Sony α NEX-5 which is the top-model in the Sony α NEX digital camera range. The Sony α NEX-5's main features are: 14.2-megapixel, up to 7 fps shooting, ISO 12800 sensitivity, AVCHD 1080/60i HD movies, APS-C size HD image sensor, Sweep Panorama, Auto HDR, Live View, Tiltable LCD, E-mount 18-55mm lens. The reason why people like SLR photography is the ability to change lenses to match their shooting situation. 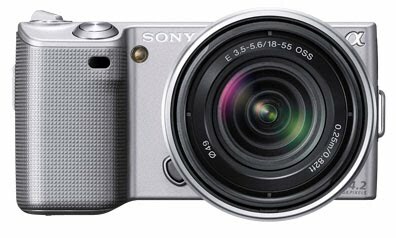 Now Sony brings that beauty to a compact camera. The NEX-5 digital camera gives you a choice of dedicated E-mount lenses, plus a choice of 28 A-mount lenses via an adapter, sold separately. The feature we like the most (besides the ability to change lenses) is that the Sony α NEX digital cameras have a new Sweep Panorama feature which stitches several images together to form a large horizontal or vertical panorama.